This patient came to us after years of being unhappy with the crowding in her smile. 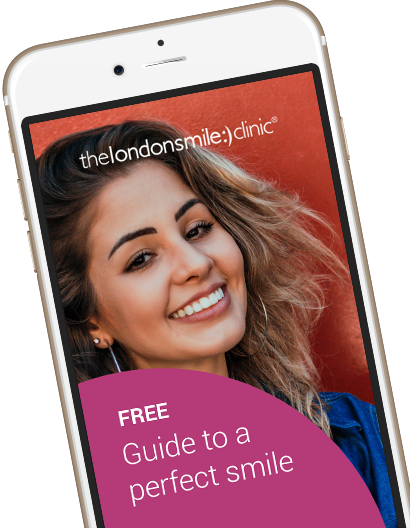 Her upcoming wedding finally prompted her to visit us at The London Smile Clinic. 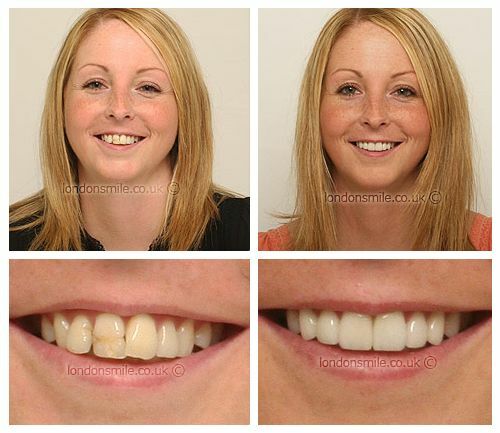 Eight porcelain veneers were placed on her top teeth to change the shape and colour. A home whitening kit was used for her lower teeth. Now she will have even more to smile about on her wedding day. I have had awful teeth all my life and have wanted to do something about it for ages. My wedding was what finally prompted me to do something. I wanted to be able to smile in my photos without putting my hand in front of my mouth! The treatment was very comfortable, I did not feel any pain during or after treatment. I enjoyed watching films during my treatment, even though I kept missing the endings. The result far exceeded my expectations, I can’t stop smiling at people! My veneers look really natural. I was worried that it would be obvious that I had them done, but it just looks like I have always had fantastic teeth! I am much more confident and will talk to anyone. Before I tried not to talk to people unless I had to (you cant stop me now!) I feel much more comfortable smiling and no longer hid behind my hand. Everyone was really friendly and reassuring, they made the whole process much more comfortable for me!